Folks often comment on how well all our animals get along together. We can’t really take credit for it—a farm is just kind of a peaceable kingdom, especially where so many animals are mixed together side by side. 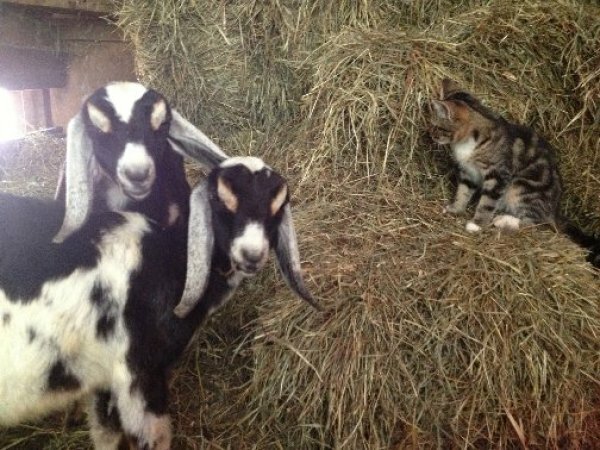 Our barn kittens and baby goats are especially sociable so they have a good time hanging out together, and with our visitors too!